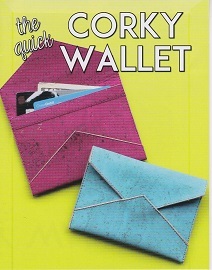 Let’s get started and make the quick Corky Wallet. Cork Fabric need 5″ x 24″ rectangle wallet finishes 5″ x 3-1/2″ . You can also use leather or pleather to make this wallet.